If your organisation is considering a blogging platform or a web content management system (WCMS), one of the most popular options is WordPress. In fact, Vervely is built on the WordPress system, and many of the sites we’ve built are based on WordPress. If you’re like many who are just starting out in this path, these are a handful of questions that people often ask about starting with WordPress. 1. Hosted WordPress.com or Self-Hosted WordPress.org? There are different advantages and disadvantages when choosing WordPress.com as a blogging or content platform. One of the main advantages is that it is easy to set-up and to maintain. There is no need to worry about finding a web host, going through installation, and maintaining the latest WordPress updates. The biggest disadvantage is that there is limited flexibility, especially when trying to extend WordPress use. If you only want a straightforward blogging platform, then this might be the best option for you. However, if you foresee extending your blog’s use in a variety of ways (eg, introducing learning modules, webinars, etc), then you will find WordPress.com to be very limiting. It is relatively easy to install and to maintain a self-hosted WordPress site nowadays. But, you still need to go through the process of choosing a URL in a domain registrar, finding a web host, and working on your site’s maintenance. The biggest challenge of a self-hosted WordPress site is the ongoing maintenance. It is useful if you have a web host or a web administrator who can help you to debug some of the issues. Otherwise, you will have to sort it all lit yourself. The biggest advantages, of course, are the control of your own site and the flexibility. Many serious website owners and bloggers opt for the self-hosted option, as they prefer to have the ability to work on their sites in the way that they see fit. 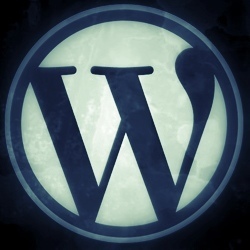 Including changing codes and using different plugins, which is not always possible with WordPress.com. 2. Free, Premium or Custom WordPress theme? Free WordPress Themes – All WordPress installations come with free WordPress themes. If you’re not too fussed about the look of your site, then you’re good to go and you can just start blogging. If not, you can always browse through the WordPress themes section (see Appearance -> Themes -> Install Themes when you’re logged in as admin). These are some popular free WordPress themes. Premium WordPress Themes – You can easily find premium themes from different designers on WordPress. When you visit Appearance -> Themes -> Install Themes in WordPress.com, you can find them displayed with the free themes. If you’re on a self-hosted WordPress site, the best thing to do is to do a search on premium themes. We have tested a number of them, including: Genesis, Woo Themes, and Thesis. They have different strengths and challenges, but should work well in most cases. Be prepared to spend from $50 upwards for premium WordPress themes. Custom WordPress Themes – There are many designers specialising in blog design for WordPress. Just type “WordPress blog designers” in your search engine and you will find a huge selection. Choosing the right one that will suit your style, budget, and timeline is the the biggest challenge. Make sure you ask the right questions and find testimonials or references, if possible. Depending on the work that you will require, custom themes may go in the hundreds or thousands of dollars. Last time I tried to use a custom theme for WordPress, I spent about $1,500. 3. What are the three must-have WordPress plugins? JetPack – This plugin enables your self-hosted WordPress installation access features that are available for hosted WordPress.com sites. It contains a number of features, and the ones I found most useful are: Statistics, Subscriptions, Contact Form, Extra Sidebar Widgets and Shortcodes. You need to have a WordPress.com account that you can tie in to this plugin. Akismet – Avoid spam troubles, make sure you have a strong anti-spam plug-in on your WordPress installation. Akismet is probably one of your best bets. FeedStats or Social Metrics – Yes, I am cheating a little here, sharing with you two plugins. But, depending on whether you wish to look at your RSS feeds or your social sharing metrics, you might only find one of these interesting. Or you can use both, of course. They provide very basic information, but being keen on measurement, I find them useful anyway. What about you? Do you use WordPress? Any tips for newbies that you would like to share?